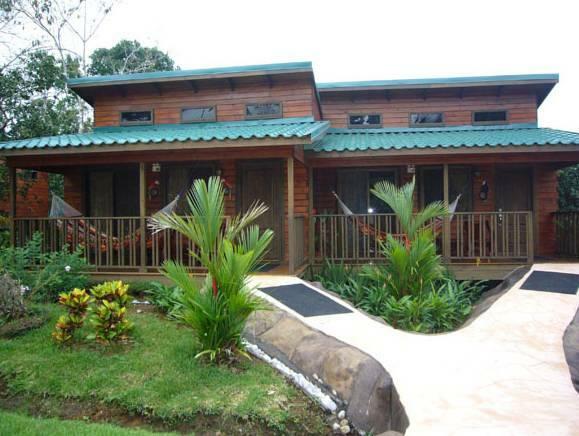 ﻿ Book Blue River Resort & Hot Springs (Rincon de la Vieja) - 2019 PRICES FROM A$137! In a tropical rainforest with natural mineral green hot spring pools and botanical gardens, Blue River offers luxury cabanas in Costa Rica. There is a swimming pool and free Wi-Fi. The 4-star resort offers plenty of adventure nature tours. Guests can admire the orchid garden and visit the turtle ponds, have a mud treatment or take a trip to the nearby volcano or waterfalls. There is a fitness center and guests can relax at the sauna room, 3 thermal pools and natural steam, book a massage session or take a nap in the hammocks by the balcony. 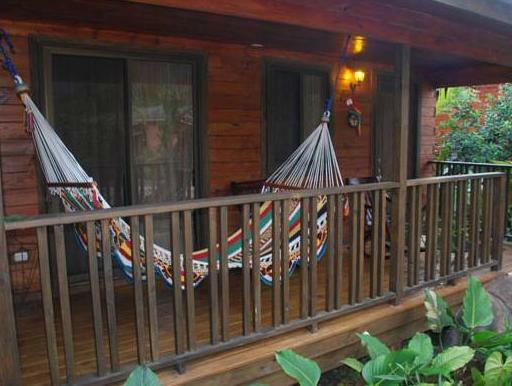 The air-conditioned bungalows have flat-screen TVs and a balcony with a hammock. They are nicely decorated with wood furnishings. Rooms also include tea and coffee makers and a refrigerator. A full breakfast is included and guests can enjoy local specialties at Tiki Bar and Restaurant. Blue River is located north of Rincon de la Vieja Volcano and is 36 miles (59 km) from Daniel Oduber International Airport. Photo and credit card identification is required upon check-in. All special requests are subject to availability upon check-in. Special requests cannot be guaranteed and may incur additional charges. This is a gay-friendly property. Please note that pets are not allowed in green areas, the restaurant or the swimming pool. Please note that the property does not accepts American Express cards. Guests are required to show a photo ID and credit card upon check-in. Please note that all Special Requests are subject to availability and additional charges may apply. Please inform Blue River Resort & Hot Springs of your expected arrival time in advance. You can use the Special Requests box when booking, or contact the property directly using the contact details in your confirmation. Payment before arrival by bank transfer is required. The property will contact you after you book to provide instructions. Bad signage if trying to find it at night, other than that the place was grand. Looking for another trip in vicinity more remote and maybe less luxurious.